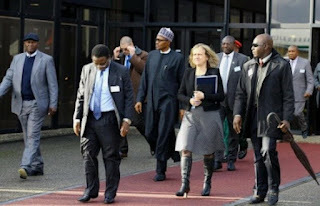 President Muhammadu Buhari last night arrived in London, the United Kingdom capital, where he is billed to hold discussions with Prime Minister Theresa May on Nigerian – British relations. The president who departed the shores of Nigeria from the Nnamdi Azikiwe International Airport, Abuja, at 4p.m. yesterday, arrived in London at about 10p.m. later in the night. His arrival in London last night was coming a week ahead of the forthcoming Commonwealth Heads of Government Meetings (CHOGOM) scheduled for April18 to 20, where he is billed to present a speech. He will meet with May ahead of the meeting. 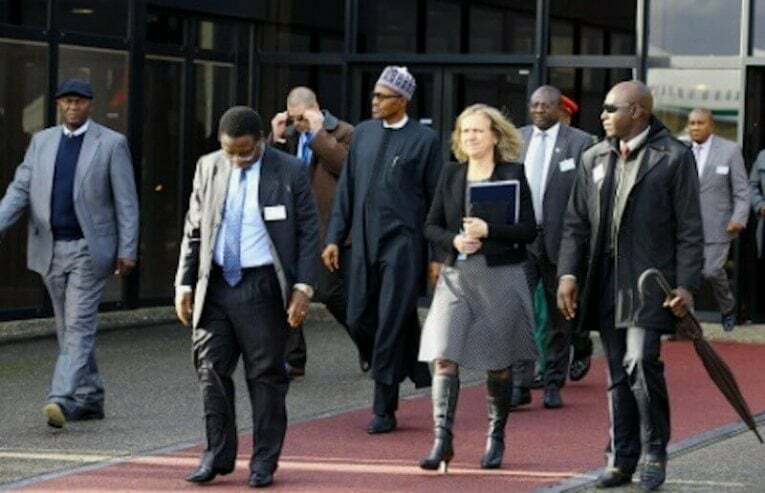 The president will also meet the Chief Executive Officer of Royal Dutch Plc, Mr. Ben van Beurden, in connection with Shell and other partners’ plan to invest $15billion in Nigeria’s oil industry. These investment ventures, according to presidency, will lay the foundation for the next 20 years production and domestic gas supply that will bring with it all the attendant benefits both to the economy and the wider society. Buhari will also renew discussions with the Archbishop of Canterbury, The Most Rev. and Rt. Hon. Justin Welby, described by the presidency as a good friend of the president, on inter-religious harmony in Nigeria and world-wide. He will also meet some prominent British and Nigerians residing in Britain.